The newer version of the coupler kit is made with new metal sleeves for added strength. 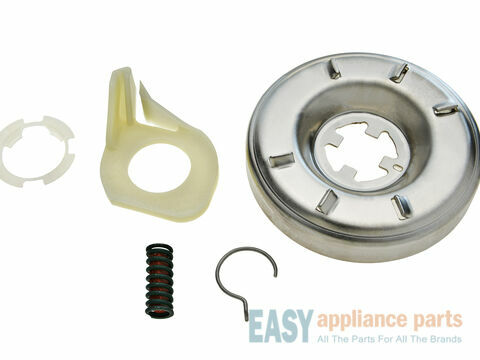 This part is located between the motor and transmission on the direct drive washer that does not have a belt. The coupler will break to protect the motor from damage if the drive motor system seizes up. 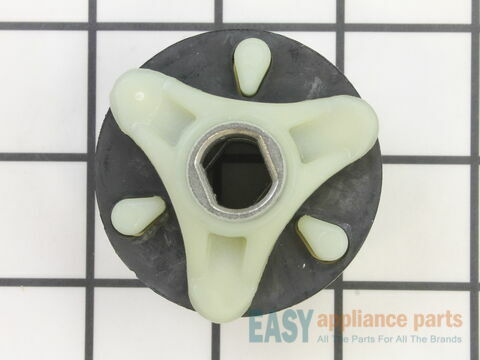 If your washer will not fill, will not agitate or spin, but it will drain the water from the tub, you may need to replace this part because it has failed. This is a genuine OEM part. 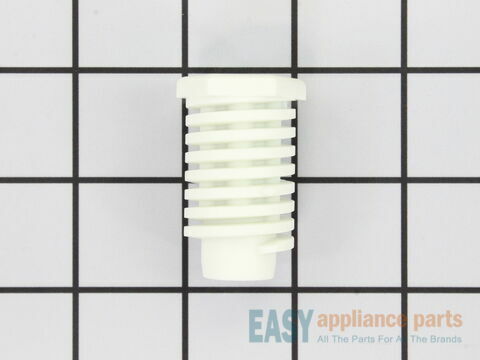 Disconnect the power to your washer before starting the repair. These agitator directional cogs are commonly referred to as dog ears. 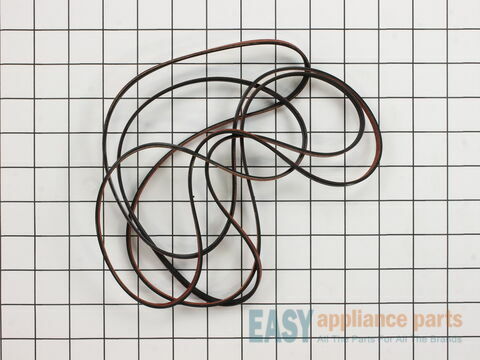 They come four in a package and are usually used with direct drive washing machines. When the teeth on the outer edge are worn down the cogs will not engage with the upper agitator, causing it not to agitate properly. It is recommended to replace all four at the same time. These agitator directional cogs are ?-inch high and 1-inchlong and they are a genuine OEM part. 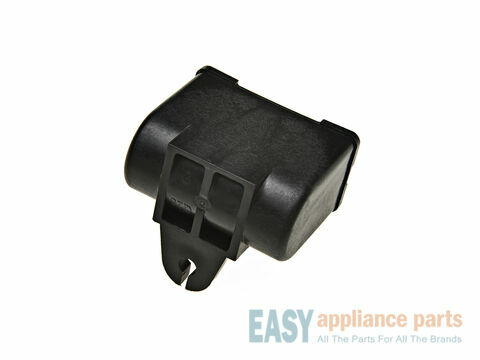 This part is a one-time use thermal fuse which attaches to the blower wheel housing of your clothes dryer. The fuse acts as a safety mechanism that will stop the flow of electricity to the motor when the dryer overheats. 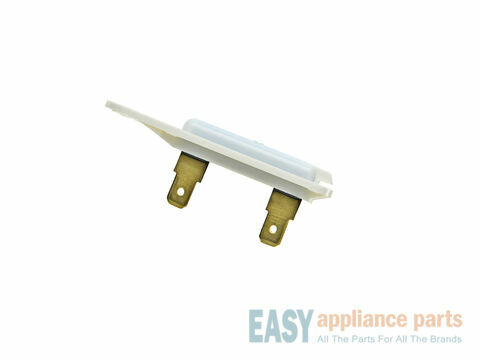 If your dryer will not start or there is no heat or not enough heat, you may need to replace the thermal fuse. The fuse cannot be reset and must be replaced when there is no longer continuity between the pins. Terminal size is 3/16. This is a genuine OEM part. 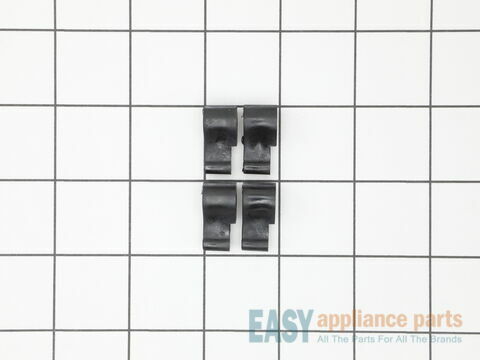 Disconnect the power to your dryer before starting your repair. The clutch assembly is used on direct drive washing machines and helps spin the basket during the spin cycle to remove water from the tub. If your clutch is worn out it can cause the washer to be noisy or leave water in the tub because it won’t drain properly, which will leave your clothes soaked. The clutch assembly includes a brake cam driver, retaining ring, bearing, and a spring, depending on your model number. This is a genuine OEM part. Please remember to disconnect the power and the water supply to the washer before starting your repair. The adjustable leveling leg is used to support and keep your dryer level. It also allows you to adjust the height of your dryer. You may need to replace the leveling leg if one becomes lost, the thread is stripped off, or it is noisy during operation. The leveling leg is almost 2” long, white in color, and made of plastic. There are four leveling legs used on the dryer, please order quantity needed as they are sold individually. This is a genuine OEM part. The large surface element is installed under the cooktop and heats up the area directly above it. 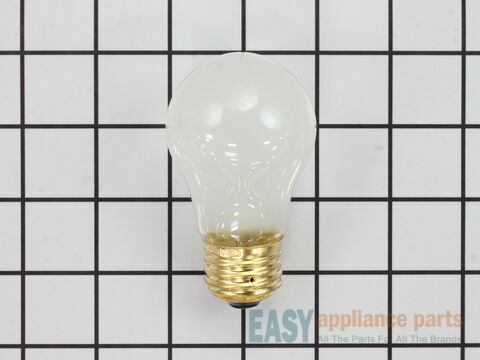 It is approximately 10 inches in diameter and is 1200/2500 watts. 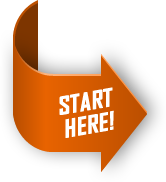 If your element is not heating up, you may need to replace the element or check the burner switch. This part a genuine OEM part. Please remember to disconnect the power to your range before starting your repair. 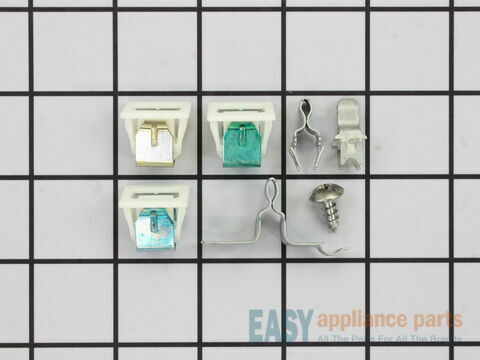 This door catch kit contains two door strikes and three door catches to service dryer doors that have one or two catches. Make sure to read the instructions to determine which one to use for your model. These parts keep the dryer door closed to allow the dryer to operate. If your door won't stay closed or will not start you may need to replace this part. This is a genuine OEM part. 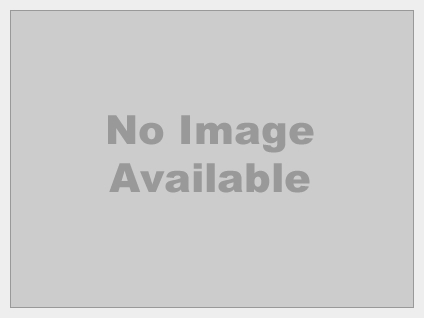 Below are the most popular Inglis models we have.